Hand-crafted to provide optimum comfort, the Sue Armchair by Daytona features a sturdy plywood structure covered with an all-over surface layer of soft goose down. A chic and sophisticated design, Sue is inspired by the club chairs of the 1930’s. 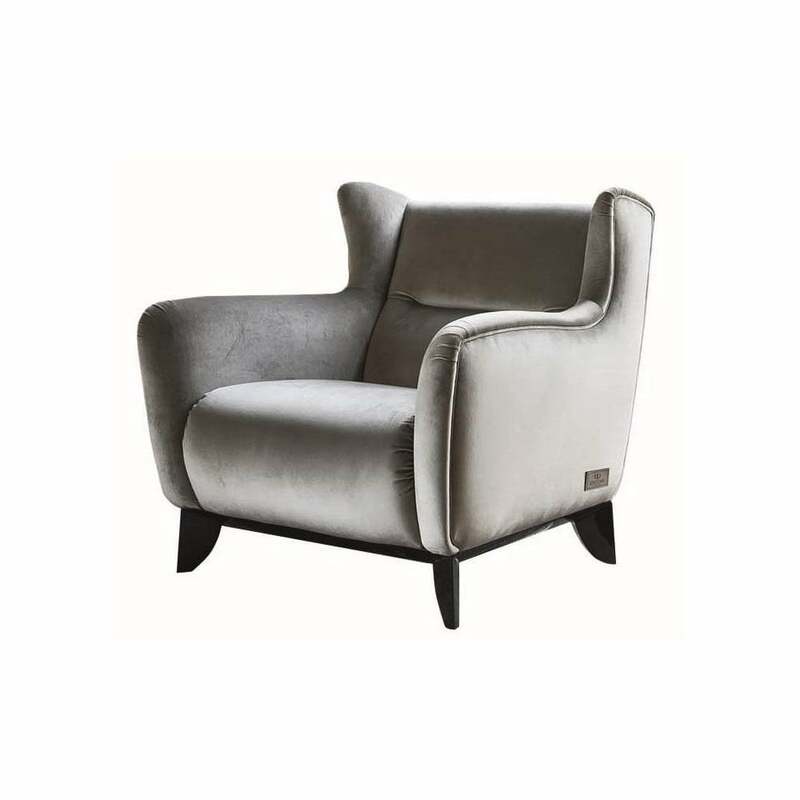 Italian elegance is combined with the curved lines of the art deco era, creating a modern chair that will suit both traditional and contemporary interior schemes. Shown here in a grey velvet, the muted hues work beautifully with burnished brass and dark wood furniture. The upholstery is available in a variety of high quality fabrics, leathers and nubuck leathers. Get in touch with our team to create your own bespoke piece. Make an enquiry for more information.